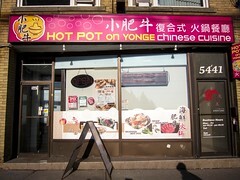 One of the perks of living in North York is being steps away a great selection of Korean restaurants. I have my favourites like Buk Chang Song Soon Tofu and Owl of Minerva, but with so many options, there’s always something new to try. My visit to Lee Nam Jang was completely unplanned. Our original plan was to take advantage of $1 oysters at Nome but they were booked up for the entire night (note to self for future plans). 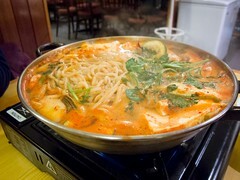 I suggested Lee Nam Jang, which is just two doors south of Nome, based on a recommendation from the BF. Atmosphere: Decor is very simple inside, linoleum floors, wide spaced tables and sturdy chairs. Every table is set with the leather bound menu and metal utensils. At a table next to us, 4 middle aged men in suits were enjoying a orders from the Combo Menu of food and Soju. The restaurant is comfortable and relaxed. Service: When we first walked in, I knew exactly what I wanted to order after seeing it at another table. 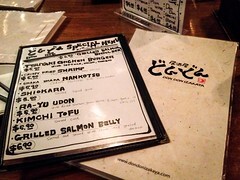 After perusing the menu though, I had no idea what the dish was called. Our server knew what I was looking for after some subtle directing to the other table and helpfully suggested additional dishes that would round out the meal. Side dishes were served right after our order was taken and easily refilled later. We ordered the seafood stew, which is brought to the table raw and cooked in front of you. Our server checked on the cooking progress of our dish and let us know when it was ready. 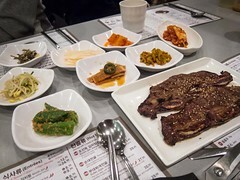 Food: With direction from our server we ordered #106, Bugolgi Octopus Stew, and the LA Kalbi. 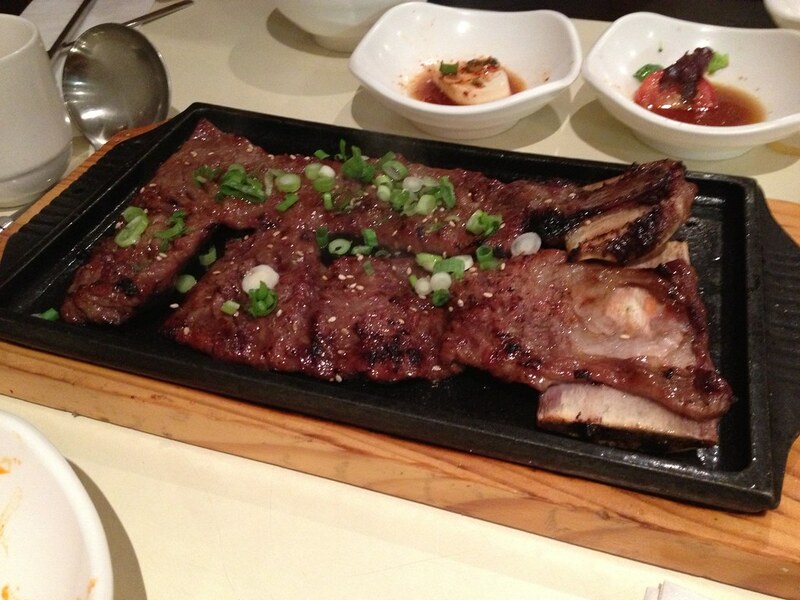 The Kalbi was served on the bone. The meat had a nice char, was well seasoned and tender. 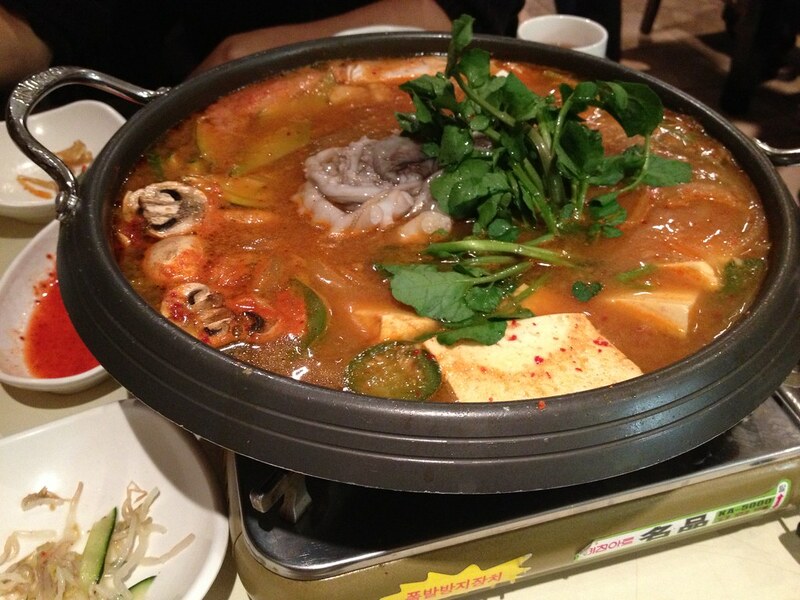 The Octopus Stew is cooked at the table and filled with tofu, mushrooms, sweet potato noodles, zucchini, and bugolgi. The smell of the stew simmering on the table was mouth watering. The stew looks pretty spicy with a rich red colour but was only mild. There was a lot of flavour and all the ingredients came together. We may have left the octopus to cook a touch long and it was starting to get rubbery. It was very fresh and still had a good texture. 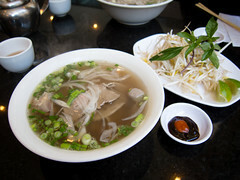 This was a good portion to split between three people and would be more than enough for two. I really enjoyed my meal at Lee Nam Jang and look forward to trying out more of their menu staples.